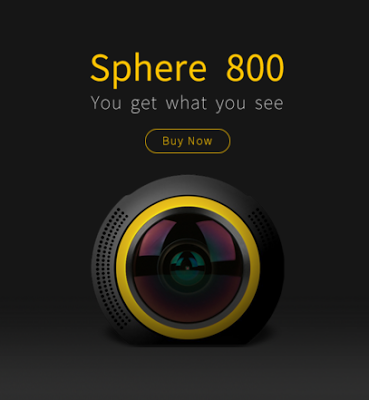 The DETU Sphere 800 is a low-cost 360-degree camera with one hemispherical lens, with a vertical coverage of 236 degrees. The resolution is 8 megapixels, with video at 1080p at 30fps. DETU claims the sensor is an EXMOR sensor, which if true would be a Sony sensor. 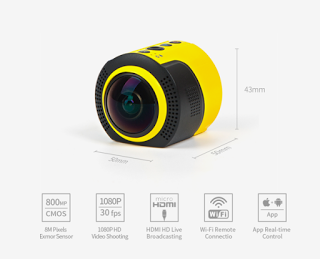 DETU claims the Sphere 800 is capable of live streaming via HDMI. They have an iOS and an Android app available for controlling the camera. If the embed doesn’t work, here is a link. The sharpness is higher than I expected for a low-cost camera, even at the edges of the lens. It is available on Amazon for under $150 (at the time of this writing), although there is another listing rebranded as JoyPlus with a price of $200. DETU also has a 8k and 4k capable 360 camera called the F4. DETU appears to be working on a third 360-degree camera, to be called the Twin360, with a design similar to the Ricoh Theta.